“Canned” responses. 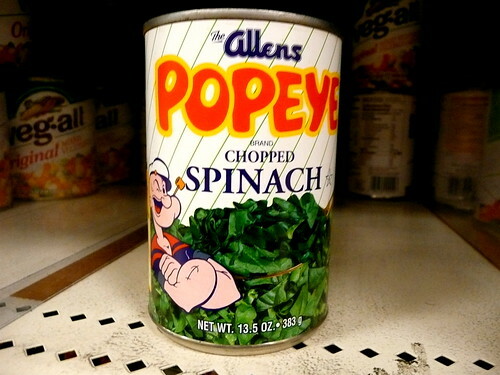 Even the name evokes the image of canned spinach, spam (the food kind), and other atrocities. Clearly, for the modern and enlightened company, having a copied-and-pasted response in an email to a customer is horrible faux pas, right? I think we’d all agree that, if we could, we’d answer every email we got from a customer personally and in-depth. We want to love and help our customers, but there is only so much time in the day. Gary Vaynerchuk knows this. As an entrepreneur and online marketer known for his endless friendliness, he extends his personal brand of generosity to the world by providing his email address publicly and promising to answer anyone who emails him. This is a fantastic show of transparency and respect. Unfortunately, it’s not scalable. He truly does his best to respond to all emails, but he doesn’t always succeed. He’s burned a number of people by not responding, and I’ve seen him declare inbox bankruptcy several times. Meanwhile, productivity noodler and geek comedian Merlin Mann takes a different approach. While he’s happy to let you contact him, he’s not happy to deal with things that waste his (and your) time. His solution is to have people state their intentions when contacting him (“Did you want to hire Merlin, interview Merlin, or just say Hi?”) and to send out a link to a FAQ (about himself) if you ask something he gets asked all the time. Does this automation turn some people off? Probably. But the alternative, frankly and truly, would be him not answering them. Which we know people don’t like, as Gary has shown us. I’m not saying you should respond to every customer message with a generic FAQ link. I’m not saying you should use technology to insert people’s names because you’re too lazy to write it yourself. But if it gets your customer their answer quicker, why wouldn’t you use a canned response? I think they would agree. Do you agree, or do you think that canned responses are evil? I’d love to hear in the comments! Spinach photo courtesy of Scorpions and Centaurs. Canned food photo courtesy of Xlibber.